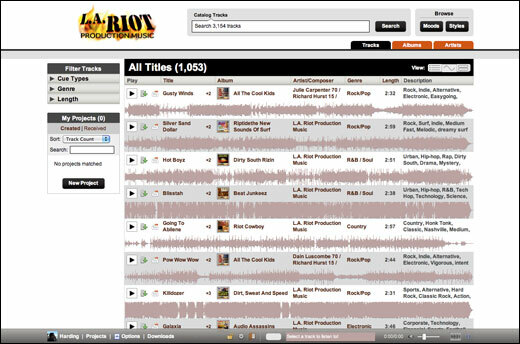 Congratulations to the folks over at LA Riot who recently launched their branded search and distribution site on the Source Audio platform. With 3,154 superior-quality production music tracks for license they join 18 other catalogs and labels on the platform. Check out some of their tracks right here. "Defiant Drums" is one I just found and like a lot - it sounds like something straight from a movie. Check it out for yourself. « Free 30-Day Trials Begin Now!